Ray Farr (b. 1948) was educated at the Birmingham School of Music and at the Royal Academy of Music. After 10 years as a professional musician with the BBC Radio Orchestra he started his career as a conductor. Ray has appeared in hundreds of concerts around the world and in some of the finest concert halls including the Royal Albert Hall and the Sydney Opera House and has gained a reputation as a stylish conductor and a planner of interesting concert programmes ranging from light music to "avant-garde". He is equally adept in Classical and modern music and has conducted opera, ballet and oratorio. In 1988 Ray won a special Arts Council Award to study contemporary music with Edward Gregson and Jorma Panula, Professor of Orchestral Conducting at Helsinki’s Sibelius Academy. He has conducted at Leeds Music Festival, Harrogate Contemporary Music Festival, Aldeburgh Festival, Adelaide Festival and the Bergen Festival and has made several L.P.s, C.D.s and T.V. appearances. Ray has appeared with BBC Radio Orchestra, Norwegian Radio Orchestra (on five occasions), the Stavanger Symphony Orchestra (on a World Wide TV program), Sandnes Symphony Orchestra (as Principal Conductor), Kristiansand Symphony Orchestra, Northern Sinfonia, Raymond Gubbay`s Manchester Concert Orchestra and is currently Musical Director of both the Reg Vardy Band and the Sunderland Symphony Orchestra and is still very much in demand as a guest conductor around the world. In 2003 Ray moved to Durham, England to accept a position as Conductor in Residence at Durham University (http://www.durham.ac.uk/) where he teaches conducting and arranging. With the University Brass Band in Residence Ray directs a regular series of concerts and workshops. As an arranger and composer Ray has over one hundred published works and many of these pieces are included in the repertory of bands and orchestras around the world. As well working on a PhD in music, he has also, recently written a book on conducting – which was published in 2006 (http://www.jagrins.com/). 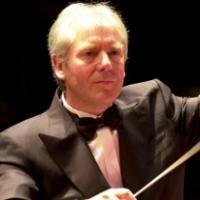 In 2004 Ray was voted “Conductor of the Year” by www.4barsrest.com and subsequently invited by The Sage Gateshead (http://www.thesagegateshead.org/) to direct an annual series of concerts. Ray was recently described by the specialist magazine Brass Band World as a ’Legend’.